The CTA found live streaming so easy that it ended up presenting 22 live streams from CES 2016. There were no advance plans to do that many, but the operation was simple so they went for it. 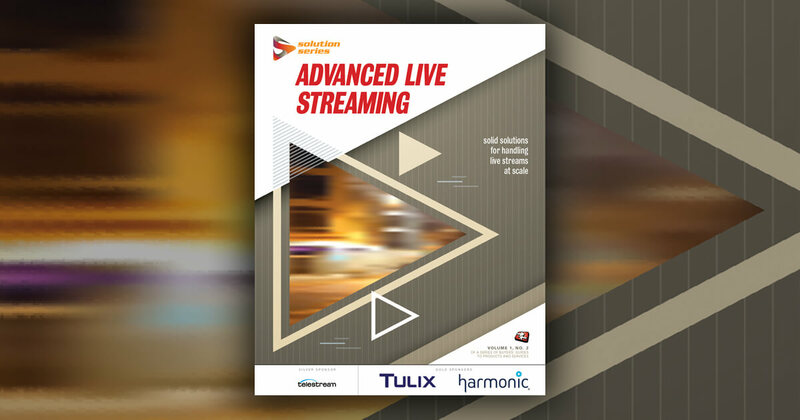 The CTA’s live video workflow was professional, yet uncomplicated. It used a single camera (a Panasonic prosumer model), which connected to a Livestream Studio HD500 all-in-one production switcher. The setup included a soundboard, microphones, lights, and a dedicated 3.5Mbps upstream connection. One person worked the soundboard, while another was responsible for the camera—which meant making sure no one bumped into it. And then there was the person working the Start/Stop button on the live streaming production app. That person also trimmed the front and back of each recorded video, then uploaded videos to the CTA’s host for on-demand playback. The experiment in live streaming was a success, and maybe if the CTA repeats its efforts in 2017, someone will actually see them. Since the CTA was on uncertain ground here, it chose not to publicize the live streams ahead of time. The viewership was so low, in fact, that uStudio wouldn’t offer any stats or metrics on it, despite repeated requests. The CTA probably would have gotten more views if it had simply used Periscope. With 22 successful live streams to its credit, the CTA is feeling much more enthusiastic about live video production these days. Based on his past history with live video, Parker was pleasantly surprised at how simple this operation was. While his job required him to run around the convention center dealing with situations that arose, his team back in the Grand Lobby kept him abreast of the video streams. The texts they sent were refreshingly positive, letting him know that things were working out. At end-of-day meetings, the staff confirmed how well things were going and talked about what they wanted to accomplish the following day. Expect to see a lot more live streaming from the CTA, and not just at its Las Vegas event. 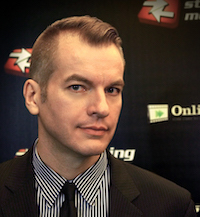 At the time of this interview, Parker was investigating the possibility of serving live streams from CES Asia in May. While live video is nerve-wracking, he sees it as a great way to extend the CTA brand.